In den Parkhäuseren P1 bis P3 direkt an den Terminals am HAJ ist das Parken innerhalb von 30 Minuten kostenlos. Einfach mit der Einfahrtkarte innerhalb von 30 Minuten wieder ausfahren. Welcome to the one and only Hannover Airport Trackable-Hotel *****, which was placed with allowance of the Hannover Airport management. All Security authorities were involved in planning, placing and operating of this unique Geocache. We´d like to thank the responsible people at the Hannover Airport for the fast response and the pleasant meetings we had. The Hotel is located at arrival area of Terminal B (ground floor) directly here at Hannover Airport. It can be reached within less than 5 minutes from all other terminals, train stations, bus stations, from all other terminals, train stations, bus stations, parking places and other public sections of the airport. Follow the signs to "Fundbüro/Lost and Found" or "Airport-Service-Center". Take a look at the location map and the “hint” pictures which are attached to this Geocache description. 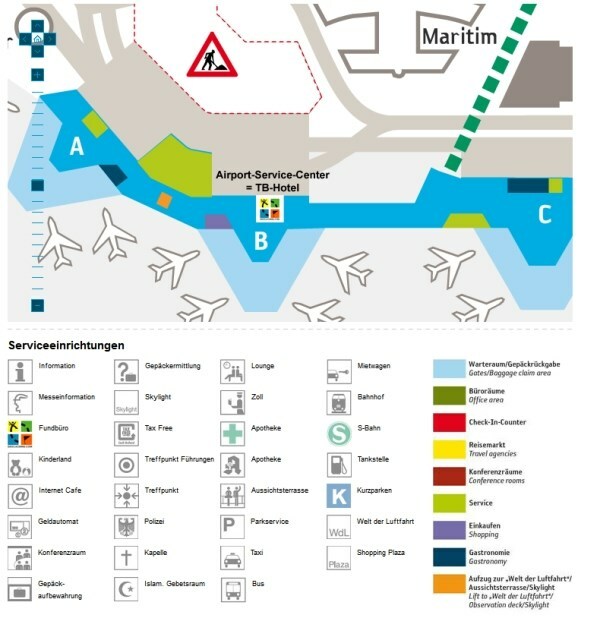 Look out for the "Airport-Service-Center" – that´s where you need to go. The Hotel is open 24x7 on 365 days a year. Keep your keycard ready (see attached picture on the hint section). The staff is helpful for finding. At the "Airport-Service-Center" you can easily have a seat at the small table and log your find relaxed. No need to hide or be stealth. It is NOT allowed to take the Hotel outside the lobby area. There is no time limit. If you trade items, please leave a note, something like "X Trackable in, X Trackable out”. Please note: Sometimes the "Airport-Service-Center" is a busy place and it could be that there´s a waiting time until it´s your turn. Thanks for your understanding. This Hotel has permission by the airport management and security authorities; the staff team at "Airport-Service-Center" is informed and pleased to assist you. It is very important to understand that at such location like an airport we won´t allow any dangerous items as Travelbugs or trade items, such as (but not limited to) explosives, knifes, drugs, alcoholic beverages and other illegal items. The “Airport-Service-Center” staff has the allowance to open and search the content of the cache box at any time or deny a certain item to be placed in the cache box. The inventory of a Hotel can never be 100% accurate, most of the times people are taking Trackable with them without the ability to log the find at geocaching.com shortly after– it can take days or sometimes weeks until items are checked out. Please be patient if your Trackable seems to be missing, usually they are showing up again after a couple days. Please read the note at the Trackable (if there is any) and take those items only with you if you can REALLY help it to reach its mission journey. Usually Trackable are placed here because the want to go on a long distance trip. We´d appreciate if you don´t take Trackable if you can´t help it with its mission. Thanks for your understanding. We´d appreciate if the Hotel is never left empty. We´re pleased to off a secure and safe place where Trackable can wait to start their national or even international journey to reach their mission goal.